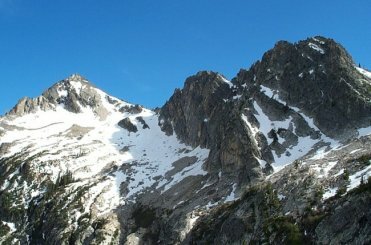 One of the most famous of the James Bond books - and one that duly made the best James Bond film - On Her Majesty's Secret Service is an enjoyable piece of escapism that takes a more human Bond on an adventure from France to the Swiss Alps with suspense, intrigue and some excellent snowy chase sequences. A classic adventure that pits Bond against Blofeld with the high stakes a potential biological threat to Great Britain - to be delivered in a very novel way. On Her Majesty's Secret Service also has a shocking twist (or two) in the colourful life of James Bond. Bond being Bond, he becomes intrigued by Tracey after she overtakes him on a stretch of road - 'If there was one thing that set James Bond really moving, it was being passed at speed by a pretty girl.' Tracey ('Teresa was a saint. I am not a saint') is one of the most complex and memorable of Fleming's Bond girls with crucial role in the story and indeed James Bond's life. As ever we get to know a little more about Bond and these titbits are always enjoyable. 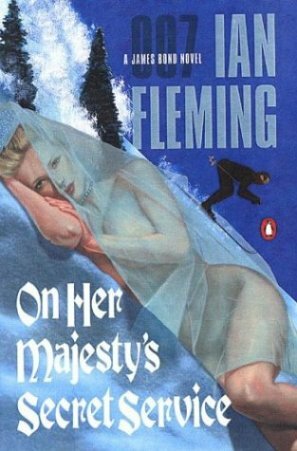 In On Her Majesty's Secret service we learn that Bond returns to the grave of Vesper Lynd each year, had a Swiss mother, and, unlike M, is a fan of Rex Stout's Nero Wolfe mysteries! The book has some great locations including M's country residence Quarterdeck and Piz Gloria, Blofeld's mountain retreat - 'Below, the ground was mostly in darkness, but ahead giant peaks were still golden in the dying sun. They were making straight for one of them, for a small plateau near its summit. A cable car, spangled in the sun, was creeping down.' Blofeld has a weird mountain sanatorium where he is treating young women suffering from allergies and there is a surprising amount of tension when Bond goes undercover there posing as Sir Hilary Bray from the Royal College of Arms. Bond must hide his identity while seeking information and you do feel the danger of his situation. Blofeld contacted the College to establish a family connection to the de Bleuville title and the British Government were tipped off accordingly. The battle of wits between Blofeld (who has undergone plastic surgery) and Bond is very absorbing and there are some great action sequences in this inventive alpine location. In addition to Blofeld and Tracey, Fleming gives us another memorable character here in Irma Blunt, Blofeld's factotum/assistant. One thing I should say is that if you've never read a James Bond book before, these are not terribly long works (my paperback copy of OHMSS is 237 pages) and very readable. You can rattle through one of these fairly quickly and you do get drawn into the heightened world that Bond inhabits. It's also absorbing to learn more about his background and attitudes and everything, right down to the food he eats, is always nicely conveyed by Fleming in his usual descriptive manner. On Her Majesty's Secret Service is a very enjoyable James Bond novel with an entertaining story and some dark twists. It is essentially the second part of the 'Blofeld' trilogy, following on from Thunderball and part of a story arc continued in You Only Live Twice. If you read this one you'll certainly be curious to see where the literary character goes next.